Lagos State University Students Union, LASUSU 6th Annual General Leadership Conference Schedule for 2018 Announced. 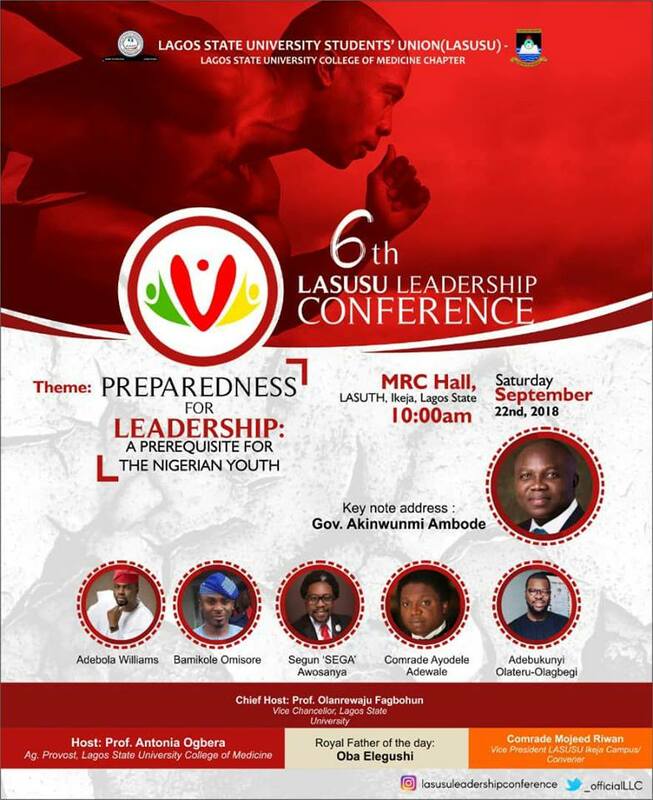 All is now set for the 6th LASUSU Leadership Conference with the theme: Preparedness for Leadership: A Prerequisite for the Nigerian Youth. Date is Saturday, 22nd September, 2018 at the MRC Hall, LASUTH, Ikeja, Lagos by 10am. Keynote to be delivered by the Lagos State Governor, Akinwumi Ambode.